A recent study showed that almost 75% of all small businesses in the United Kingdom spend an average of 9 days per quarter chasing money they are owed by customers or clients. Taking the average hourly wage in the UK, this converts into the cost of £5,000 per year for a business. The study revealed that the average a small business is owed over a year came to £11,000. Taking into account that there are 5.7 million SMEs in the UK, and 75% of those comes to 4.3 million, put together, those business owners are possibly chasing £47.3 billion in late payments every year. The earsplitting result of this has led to small business not being able to invest money into their own businesses, which in effect, stunts the growth of the UK economy. 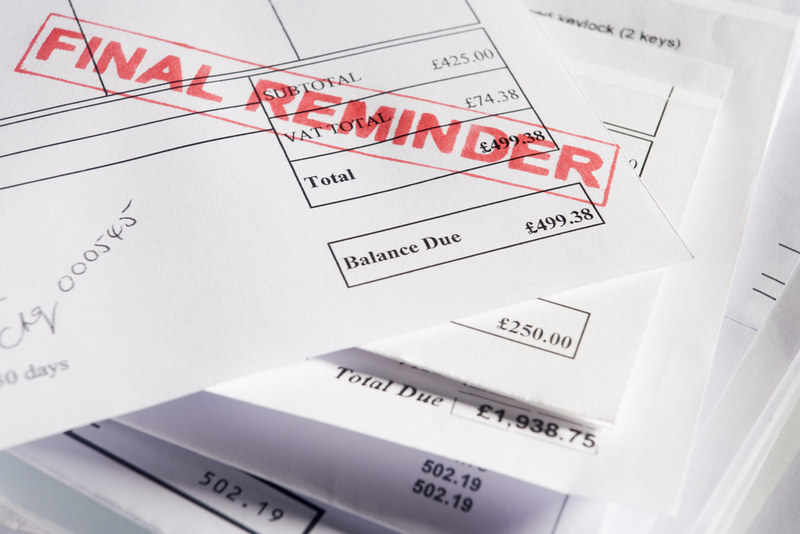 How do overdue payments affect your business? We weren’t shocked to hear that over three-quarters of small business in the study stated that the aged debts are directly impacting their cash flow. This prevents small business from investing more money into their growth, for example: recruiting new staff or improving work equipment. An impressive 40% of small businesses said that they do not have a specific debt recovery process within the business. On top of that, 30% of businesses have considered additional business finance to cover the money that they are owed. An obvious aim for any business is to maximise profitability, but with debt, this holds them back. Applying for a business cash advance is a short-term solution to fill a cash flow gap, however, implementing payment terms and being stricter with credit control can ensure that businesses aren’t spending their time running after overdue, unpaid bills in the future. Should a late payment legislation be put into action? A survey from Basware and YouGov questioned over 2,000 small businesses that have less than 250 staff. This study led to finding that over half of the business want to support a change in the law around late payments. Of those surveyed, 62% are for the introduction of a 45-day maximum payment term. The UK economy is heavily reliant on the growth of small businesses. In 2017, the combined annual turnover of all small and medium-sized businesses came to £1.9 trillion – to put into perspective, this is just over half of all private sector turnover in the UK. Around 665,000 SMEs in the UK have come close to bankruptcy because of payment issues. This is a huge number of businesses, and if this wasn’t the case, the UK economy could have a higher rate of growth. Of those whose businesses were put at risk due to a late payment, a rough number of 120,000 businesses said that they had to unwillingly put recruitment on hold. On top of that, a further 13% (around 86,500 small businesses) had been forced to let staff go due to late payments. Considering 61% of people in the UK are employed by small and medium-sized businesses, the UK cannot afford for this growing economic ecosystem to crash. At Stonehouse we specialise in working with small and medium-sized businesses – our expert team have comprehensive experience as well as the knowledge prescribed to help your company overcome challenges, such as overdue payments and the enormous impact they can have on your business’s cash flow. Give us a call on 01733 265 888 if you want guidance or advice for helping your business grow.